“The support from our Publix has been outstanding. I was pleasantly surprised when Mrs. Alana, Customer Service Manager, came to visit Emily after her spinal cord injury in 2015. Emily had just worked at Publix a few short months. Alana came to the hospital to see Emily after working a long shift and it was late. It really meant a lot to Emily and me that she came and sat with us. She was so sweet and genuine and brought a beautiful bouquet and card from her co-workers. Since that day, Alana has been a great source of support for Emily while she is working and going to college. Alana has really gone out of her way to care for her. We never expected this from a store we shop at regularly. You just don’t see this often. 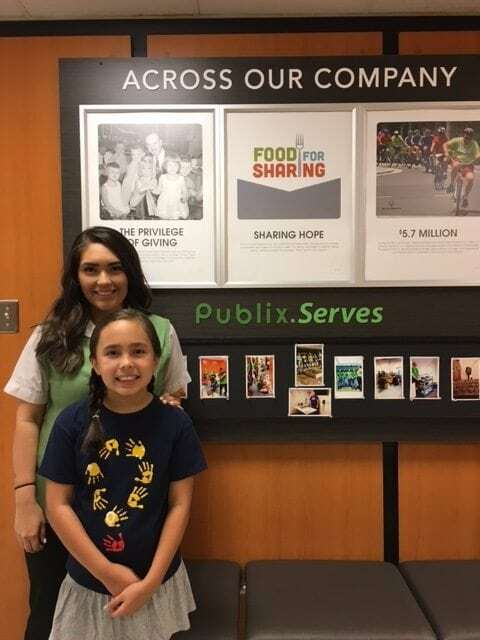 Publix is celebrating 26 years of miracles. Learn how you can continue the tradition at giving.ufhealth.org/publix. Miracles In Motion tells the inspiring stories of our pediatric patient families, clinicians and staff members in their everyday lives. These moments are what make UF Health Shands Children’s Hospital such a special place to the more than 150,000 patient families treated here each year. Follow along to learn more about these stories and how Children’s Miracle Network Hospitals makes even the most ordinary moments extraordinary.